Magomed Khabziyev in May 2016. Source: Youtube / Magas Live. On 12 March, we heard the news that Magomed Khazbiyev, the last editor of blocked website Ingushetia.ru who hadn’t moved away from politics, emigrated or been murdered, had gone on a dry hunger strike in pre-trial detention. We compiled a short chronicle of the legendary website and with it Ingushetia’s opposition – the blocked platform had been its main mouthpiece. “Over the last two or three years, whenever someone confronted the regional authorities, a hand grenade would go off in their yard. And no one would even condemn [these attacks by the authorities]. But everyone should have been wondering why this kept happening,” says Magomed Mutsolgov, who heads the Mashr human rights NGO. Mutsolgov is surprised that neither Russia’s federal government, nor Ingushetia’s regional authorities seem to be aware of these explicit attacks. It shows, he says, that “someone has access to explosives at any moment”. On the day after a grenade was set off outside his house in Nazran, Ingushetia’s largest town, Magomed issued a video statement, saying that he was planning to return home and accusing the younger brother of Yunus-Bek Evkurov, Ingushetia’s leader, of carrying out the unsuccessful assassination attempt. On 11 January, Khazbiyev returned to Ingushetia and was immediately detained by the police (he has been under arrest in absentia since January 2015, on a charge of arms dealing). He was remanded in custody and charged with a criminal offence after police found a gun and a grenade during a search of his parents’ house. His brother says that Magomed only visited the house occasionally and didn’t use the room where, according to the cops, the gun was hidden. “They supposedly found these objects hidden under a pillow on his bed,” his lawyer Kheda Ibriyeva tells us. “But a whole squad of these guys had been all over the house before that”. She remarks that the search was carried out by members of Centre E, Ingushetia’s elite counter-extremist force, whose leaders have now been arrested and charged with extortion and the torture of detainees. According to his lawyer, Khazbiyev was fingerprinted twice: the first expert concluded that the prints on the gun couldn’t be identified, but “the investigative organs were not satisfied with this conclusion, ordered a second test and found an expert who did conclude that the prints belonged to my client.” The defence team requested yet another examination, but the court refused. Ibriyeva tells us that Khazbiyev was on both a federal and an international wanted list, despite the papers stating that he was under official protection in Chechnya. No Ingushetian law enforcement ever visited to Grozny, she says. Once in custody, Magomed Khazbiyev was presented with another charge (“insulting a representative of authority”). His lawyer says that these charges are connected with his video addresses, but it’s still unclear what specific words and images triggered the new case. Recently, Ibriyeva has been unable to visit the remand centre – an employee destroyed her professional ID and she hasn’t yet received a new one. In one of his video addresses, Khazbiyev claimed that he bought secret internal documents from people close to Yunus-Bek Evkurov, as well as material obtained from phone taps proving that Ingushetia’s leadership was implicated in murders and kidnappings: “If I had the same opportunities as Ramzan [Chechen leader Kadyrov], I would have killed ten thousand of them, and forced all the rest to work, but I don’t have those opportunities,” says someone whose voice is very reminiscent of that of Ingushetia’s leader on one of the tapes. 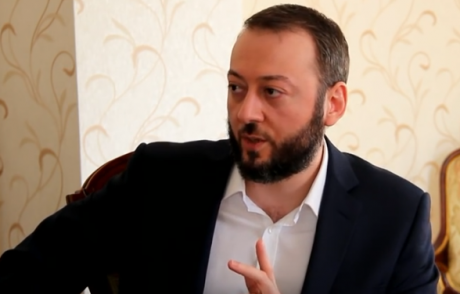 Khazbiyev published his posts on the Ingushetiyaruorg2010 YouTube channel, whose name is very close to that of republic’s most prominent opposition website in the republic. This site was first blocked in 2008, but the platform continued to work from a new address, Ingushetia.org. This was then blocked in 2010, and from then until the next block, in 2013, the site existed yet another name, Ingushetiyaru.org. Magomed Khazbiyev is the last person involved in the project who hasn’t left politics, emigrated or been murdered. One of the walls in the office of Mashr, Mutsolgov’s organisation, is covered in black-and-white images of people who have disappeared without trace or been abducted by Ingushetia’s security services. Ruslan, a brother of the NGO’s founder Magomed Mutsolgov, tells us the stories of these people – a teacher, a beekeeper, a taxi driver, a paralegal. Many were later found dead. His brother Bashir was abducted in December 2003. His body has still not been found, but the investigation of his case, like those of many others (Mashr has 227 names on a list of the disappeared) is still going on. “Arrested and detained people disappear and die,” reads a 2007 report by Russian human rights organisation Memorial: “Special operations in towns and villages are accompanied by flagrant infringements of human rights and Russian law. The police carry out executions without trial, brutally torture suspects, impede lawyers’ work and falsify criminal cases.” Extrajudicial reprisals against people suspected of terrorism have provoked complaints and distrust among local residents against the representatives of state power, the report continued. By mid-2007, it looked as though Ingushetia’s then president Murat Zyazikov, elected five years earlier, had completely lost control of the situation in the republic. Attacks on law enforcement agencies alternated with assassination attempts on local officials, religious leaders and highly placed family members of the president. Concluding that the republic’s law enforcement were incapable of dealing with the situation, the federal government decided to tighten the screws. That summer, Russia’s Interior Minister Rashid Nurgaliyev ordered a “special integrated preventive operation”, in which the number of Interior Ministry troops in the republic was increased from 700 to 2,500, and officers were put on an intense service regime. In September 2007, businessman Maksharip Aushev’s son and nephew disappeared from the village of Surkhakhi, and he quickly discovered that their kidnappers were dressed in military gear. The kidnapping happened on the road from Grozny after the young men had had returned from Astrakhan, where they had spent the summer working in a road repair gang. According to Aushev, the kidnappers had shown security services ID at the border post between Chechnya and Ingushetia. On the day after the Aushevs’ disappearance, roughly 1,000 demonstrators blocked one of Nazran’s main streets in protest against the kidnapping. Witnesses reported the police firing above the heads of the crowd, who responded by throwing stones at them. A few people started tearing up the rails on the Nazran-Mineralnye vody rail line. On 20 September, the kidnap victims were released, but the police showed no signs of searching for their abductors. Maksharip Aushev claimed that the man behind the crime was the police chief of the Urus-Martanovsky district of Chechnya, who maintained a private prison in the village of Goyta, where hundreds of Chechens had reportedly been killed. According to Aushev, neighbouring republics’ security services also used the prison, where detainees from the entire North Caucasus region were tortured. Aushev compiled a report on the situation which he published on Ingushetia.ru. 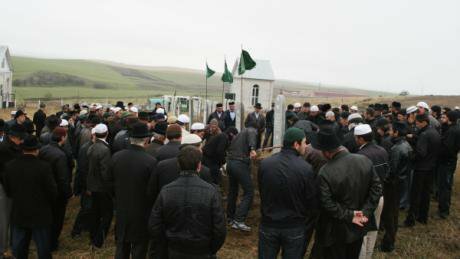 At the end of November 2007, security forces shot a six year old boy – the son of a suspected militant – during a special operation in the Ingush village of Chemulga. Hearing about the killing on the TV, Ingushetia.ru readers, between 150 and 300 people, took to the streets in an unofficial protest, with placards reading “No to kidnappings!” and “Bring the murderers to justice!”. The local authority responded to this low key action by calling out the riot squad, whose members fired ammunition into the air and struck out with their truncheons as they arrested dozens of the protesters. 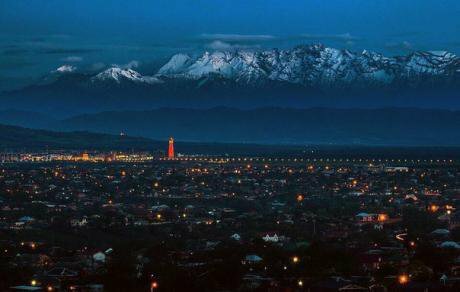 Ingushetia.ru was founded in 2001 by lawyer and businessman Magomed Evloyev. He initially thought of it as “a source of knowledge about the culture and traditions of Ingushetia”, but soon, as he put it, “historical and even cultural issues acquired a new relevance after the recent conflicts in the region and their explosive political context”. The site then “went political” and began to publish investigations into police violence and local authority corruption, as well as strong criticism of the republic’s head, and quickly became one of the most popular Ingush online platforms. Evloyev soon gathered like-minded people around him, including human rights activist Rosa Malsagova, who later became the site’s editor-in-chief, and young lawyer Kaloy Akhilgov. 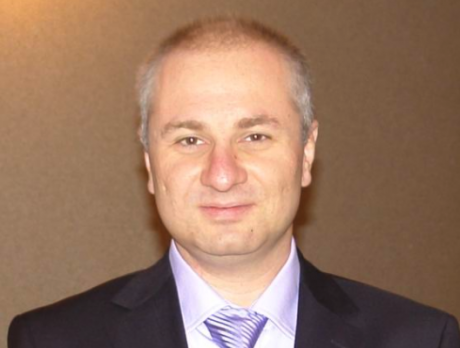 Maksharip Aushev started working with him as well after the kidnapping incident. After the Duma Elections in December 2007, Magomed Evloyev and Maksharip Aushev set up an initiative group with other like-minded people and announced a campaign under the banner: “I didn’t vote”. The Ingush authorities were reporting a record turnout 98.35% across the republic, with 98.7% of voters apparently supporting the ruling United Russia party, and these improbable figures infuriated many people. According to the campaign organisers, they managed to collect more than 80,000 “I didn’t vote” declarations – in other words, around half of registered voters didn’t turn out. Evloyev accused President Zyazikov’s team of fabricating turnout data on the orders of the federal authorities. On 14 January 2008, about 300 folders of declarations were transported to Moscow, hidden under bales and boxes in a van driven secretly from the republic. They didn’t however, reach the Central Investigation Committee. As Caucasian Knot reported, the campaign organisers changed their minds about challenging the election results, since if they were declared null and void the republic could lose its representation in the State Duma. “There is no legal document linked to the campaign in any government body – neither the Prosecutor General’s Office nor the Central Electoral Commission,” said the commission’s head Vladimir Churov in February 2008. So the declarations collected in Ingushetia just got lost somewhere in Moscow. However, on the eve of the protest, part of Ingushetia was declared to be under a counter-terrorist operation. Maksharip Aushev’s business premises were searched “as part of a check on the firms’ financial management operations”. Police dispersed activists who had gathered in Nazran and 48 people were detained. Police officers claimed that they had uncovered more than 120 bottles containing an incendiary cocktail and no less than 500 sticks and stones supposedly collected by the protest organisers in case of mass unrest. They were charged with a criminal offence. It took a year before Russia’s Investigative Committee produced its report on the case. Maksharip Aushev, Musa Aushev and Ruslan Khazbiyev were charged on three counts: organisation and participation in mass unrest; the use of violence against a representative of authority and illegal arms dealing. According to the investigators, the accused “carried out incitement amongst the population”, in part through the Ingushetia.ru website, and then gathered on Harmony Square in Nazran to demand the resignations of Zyazikov and the heads of the republic’s police bodies. “They also organised mass unrest, accompanied by violence, hate campaigns, arson attacks, destruction of property and armed resistance to representatives of authority. But by then, Ingushetia.ru had been blocked and Magomed Evloyev assassinated. At that point, Ingushetia.ru managed to ride out the storm, but on 6 June 2008 it was totally blocked on the orders of the Kuntsevo District court. According to Kaloy Akhilgov, the immediate trigger for blocking the site was a reprint of an article from another source. And although the court could have just ordered the offending article to be removed, it decided not to. On 31 August, Evloyev flew to Ingushetia from Moscow on the same flight as Zyazikov, his sworn political enemy. When the president left the airport, the oppositionist was detained by the police. According to the official version of events, they planned to question him about an explosion at the home of the head of the Presidential Control Directorate; three cops sat with Evloyev in the 4x4, one of them on the back seat next to the owner of Ingushetia.ru. According to the Ingush police, when the vehicle moved off, the detainee tried to grab an automatic rifle from the police officer sitting next to him, at which point the one sitting next to the driver grabbed his automatic pistol and aimed it at Evloyev. The gun, the cops claimed, went off by accident: the safety catch had been inadvertently left off. Evloyev received a serious wound to the head and died in hospital later that day. On 11 December 2009, the Karabulak City Court found the former cop guilty of manslaughter and sentenced him to two years in a prison colony-settlement, but after a couple of months the sentence was reduced to two years of “restriction of freedom”. In August 2010, Ibragim Evloyev was shot dead in a café in Nazran: his killers have not been found. After Ingushetiat.ru was blocked, it initially moved to the zonu.com domain, and then changed its name to Ingushetia.org. For a time, it was headed by Maksharip Aushev, but he retired after Zyazikov resigned as president. Rosa Malsagova, the project’s next editor-in-chief, left Russia and requested political asylum in France. “She was bringing up three sons and didn’t want to be put under any pressure because of them,” says Kaloy Akhilgov, who worked for a year as press-secretary to the new president Evkurov before moving to Moscow and starting legal practice. Aushev died on 25 October 2009: his car was raked by gunfire not far from Nalchik, the capital of Kabardino-Balkaria – more than 60 spent cartridges were found beside it. Maksharip was killed on the spot; a female cousin, who was in the car with him, was seriously wounded but survived. President Evkurov, for his part, has said that the murderers were trying to “destabilise the situation in the republic”, and vowed to find them. October 2009: the funeral of Maksharip Aushev in Surkhakhi, Ingushetia (c) Dmitry Vanin / RIA Novosti. All rights reserved.Six weeks later, a car carrying Aushev’s pregnant widow, 27-year-old Fatima Djaniyeva, was blown up in Nazran. Her mother, Leila Djaniyeva and her two brothers were also in the car and her mother and one brother died in the attack. Unconfirmed rumours suggest that the car blew up after police officers wearing masks stopped and searched it. After the attempt on her life, Aushev’s widow moved to St Petersburg, where she planned to undergo rehabilitation. She was accompanied by family members: her brother Ali Djaniyev, uncles Yusup and Yunus Dabriyev and their nephew Magomed Adjiyev. On the night of 26-27 December, the men of the family left Fatima in their relatives’ flat on Vasiliyevsky Island and went to a hostel in the centre. Not long afterwards, their phones went silent, and since then nothing has been heard of them. The law enforcement agencies did very little to investigate the men’s disappearance without trace, says Memorial staff member Ekaterina Sokiryanskaya: “In the spring, when the snow melted, the police discovered the car that the kidnapped men were travelling in. But nothing more happened.” None of these cases – neither Aushev’s murder, nor the explosion in his relatives’ car, nor the kidnapping in St Petersburg – has ever been solved. The Ingushetia.org site was blocked in 2010 by the District Council of Ingushetia’s capital Magas. 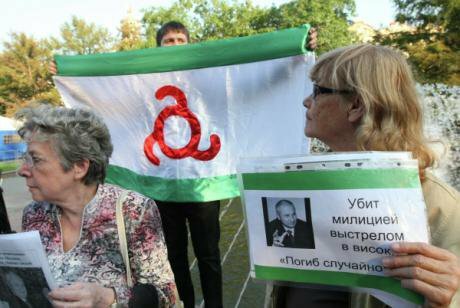 One of the triggers for the blocking of the entire site was a short article, entitled “A Call from the Aushevs to all Residents of Ingushetia”, that was published on the day of Maksharip Aushev’s death. Its author suggested that friends and people who had been well-disposed towards the dead man should gather in front of his house. However, by the time of the last blocking, opposition activist Magomed Khazbiyev had already set up yet another new site, Ingushetiyaru.org. Khazbiyev said he would cover events “that no one in Ingushetia writes about any more”: “We aim to show up all the shortcomings of the regional authorities,” he says. “We shall talk about corruption. We shall try to ensure that we have a correspondent in every village, in every hospital, in the Prosecutor’s Office, in the Investigative Committee”. The new site was from the start under constant DDoS attack, recalls Khazbiyev’s brother Ali. In 2013. it too was blocked after a number of articles about the work of the Mehk-Khel (People’s Council) movement, which Magomed Khazbiyev had joined, were added to the Federal list of extremist materials. Human rights activist Ruslan Mutsolgov recalls the movement’s activists coming under pressure from Centre E.
In February 2013, Sultan-Girei Khashagulgov, one of the most active members of Mehk-Khel, was killed during an FSB special operation – the official line is that he shot at the police while he was being detained. The Investigative Committee claimed that Khashagulgov and his brothers were involved in an armed underground, and “liquidation lists” were found at his home. Before leaving for Grozny, Magomed Khazbiyev spent some time heading the Ingush branch of The People's Freedom Party (PARNASSUS), which has long since disappeared. “When he came back, he planned to continue his work, and he has said that he still couldn’t just sit around and stop working,” says his brother Ali. For the moment, though, he’s still in custody, though he has now called off his hunger strike. Ruslan Mutsolgov combines his human rights work with heading the local branch of the Yabloko Party. He tells me how difficult it was to collect signatures on a petition to propose its head Grigory Yavlinsky’s candidacy for president: people are so scared of anything directly or even indirectly connected with politics that when they see someone on their doorstep with a clipboard, they pretend they don’t keep their ID papers at home. For the whole of Ingushetia, Ruslan managed to collect just 800 signatures.